Its emissions are 50 times lower than gas-fired power plants. 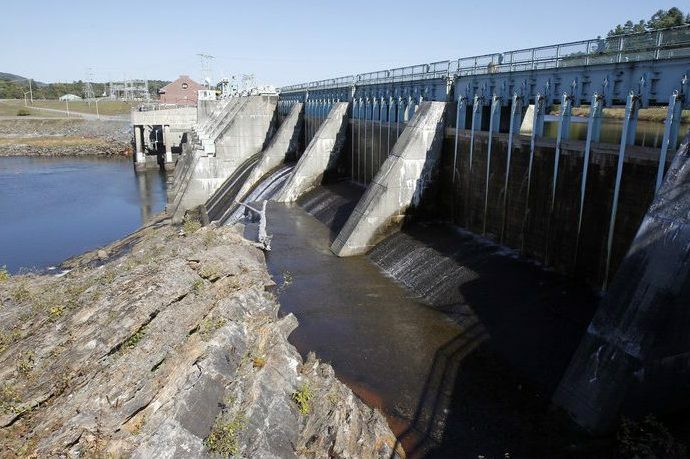 MONTREAL — In recent op-eds, various opponents have criticized Québec hydropower, putting forward a series of falsehoods that absolutely need to be corrected. We are scientists who have devoted a large part of our professional lives to documenting the impacts of hydropower. We have made sure that appropriate mitigation measures were put in place to prevent potential negative impacts on the environment and on public health, and we continue to do so today. The extent to which some of the scientifically proven facts about hydropower get twisted and distorted is deplorable. Based on life-cycle analysis, no energy source can be said to be carbon free, whether it is renewable or not. Instead, there is a gradient, from lower to higher emitters, and Québec hydropower is among the lowest. Its emissions are 50 times lower than gas-fired power plants. Alain Tremblay, Ph.D., and Francois Bilodeau, M.Sc., are senior environmental advisers with Hydro-Quebec. Let’s go over the science relating to greenhouse gases. Hydro-Québec has been a pioneer in the study of greenhouse-gas emissions from hydropower reservoirs, such as carbon dioxide and methane. We began devoting resources to this issue at a time when very few companies and institutions were doing so. That was 25 years ago. Over the years, we’ve collected over 120,000 measurements in lakes, rivers and reservoirs all over the province, and we have obtained and analyzed the results of comparable measurements from partners in other parts of the world. The volume of data we’ve gathered is unprecedented. Moreover, Hydro-Québec was the first company to go beyond measuring gross emissions: From 2004 to 2010, our scientists measured net greenhouse-gas emissions resulting from the creation of the Eastmain-1 reservoir. Data results from this study have been published in many scientific journals. We are currently documenting the net emissions from reservoirs at our newest project, the Romaine Complex, through a global research program carried out by the Université du Québec à Montréal. Scientists are documenting both greenhouse-gas emissions and the mechanisms supporting these emissions, allowing us to continue to better understand and explain the differences between emissions from Québec reservoirs and those in other regions of the world. We strongly believe that greenhouse-gas emissions should be taken into account in the evaluation of energy facilities and that methane must be properly considered, as it is a potent greenhouse gas and more efficient at trapping solar radiation than carbon dioxide. In regards to Québec hydropower, our studies show that greenhouse-gas emissions peak immediately after reservoir creation and decline to natural levels within five to 10 years. Most importantly, thanks to Québec’s geographical location, its waters are well oxygenated and cold; therefore, methane usually represents less than 1 percent of total emissions in CO2 equivalent, the rest being generally comprised of CO2, according to a comprehensive assessment, the results of which were published in the journal Global Geochemical Cycles in 2012. Higher methane and CO2 emissions from reservoirs are generally observed in warmer and more productive environments (eutrophic), and much lower methane emissions are found in colder and less productive environments (oligotrophic), which are typical of Canadian waters. Hydro-Québec’s entire production fleet is composed of 63 generating stations. The energy the company generates averages 13 tons of CO2 equivalent per gigawatt hour, which is comparable to wind power, the International Reference Center on the Life Cycle of Products, Processes and Services and the U.N. Intergovernmental Panel on Climate Change each has found. For more on Québec hydropower’s low carbon emissions, please visit our website. Since the La Grande project was launched some 40 years ago, Quebec scientists – ourselves and many others – have amassed a wealth of environmental knowledge, of which we are very proud. We deeply hope it will serve to ensure the right decisions are made for a cleaner energy future.